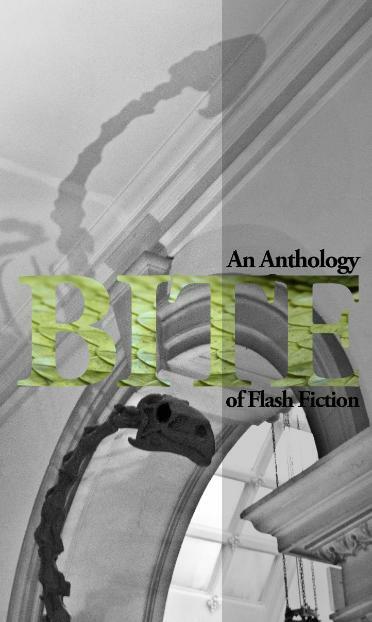 BITE features flash fiction originally published on Cheek Teeth Blog, as well as new work appearing for the first time in print. Edited by Katey Schultz and John Carr Walker, BITE is now available! Visit our e-store to purchase! From a ride in the car with grandpa, to a lover confessing he is from Mars, the stories in BITE zero in on the intimate, often overlooked moments of life that have the power to transform the ordinary into the extraordinary. In these very brief stories, emerging authors such as Lesley Alicia Tye, and established masters of the form like Tom Hazuka, demonstrate that the truth of our lives is in the details. There’s nothing like the power of a well-told story to drive this home and there’s nothing like flash fiction to do so in as few finely crafted sentences as possible. Whether looking back at Hercules Massis, reporting the night terrors of Shop-Vac man, or entering the imaginary world of a young boy and his pet fish, these 33 stories conjure vivid worlds in a matter of sentences. Authors include: Sherrie Flick, Bruce Holland Rogers, Alex Mindt, Tara L. Masih, and more.